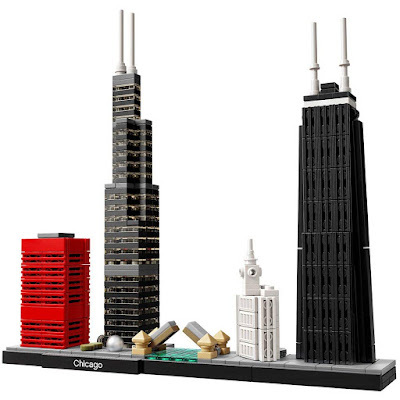 Head on over to Amazon where they are offering the LEGO Architecture Chicago 21033 Skyline Building Blocks Set for just $29.99 shipped (Retail $39.99)! This 444-piece set lets you build a detailed model of the Chicago skyline including Willis Tower, John Hancock Center, Cloud Gate, DuSable Bridge, Wrigley Building and the Big Red. Plus, it comes with a collectible booklet containing information about the design, architecture and history of the buildings.